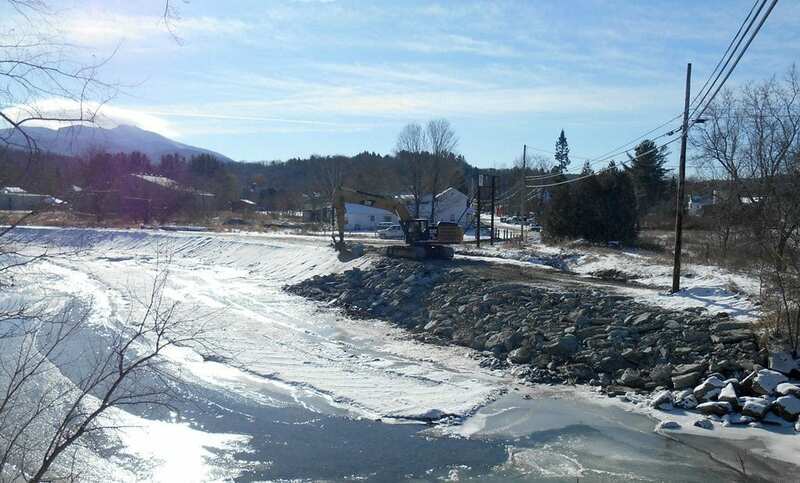 In November 2013, the Town of Cambridge, VT contracted G.W. 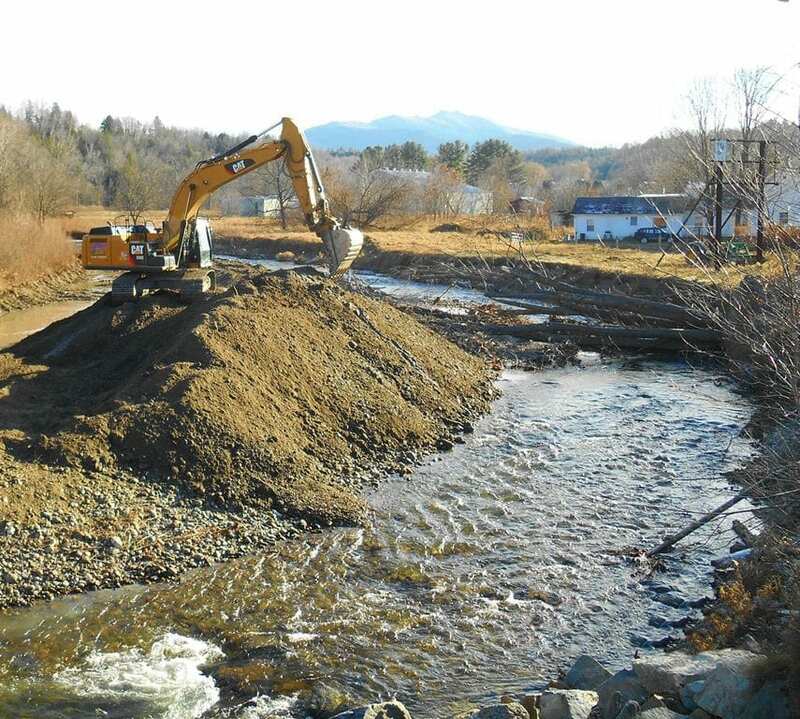 Tatro Construction, Inc. to alleviate an erosion issue along VT Route 15 in the Brewster River. With permission from the VT Agency of Natural Resources (ANR), G.W. 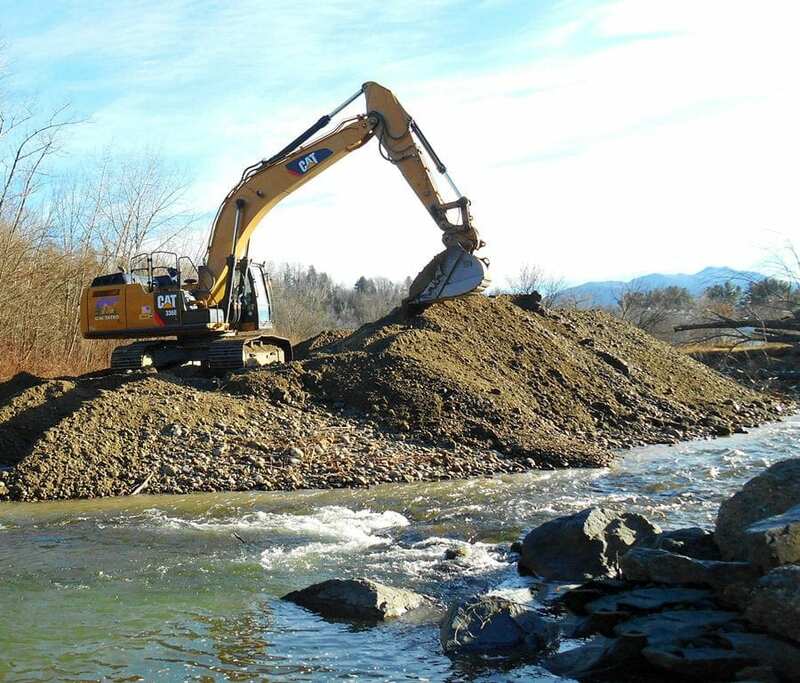 Tatro removed a buildup of sediment in the river and used the gravel to rebuild the failing slope along the highway and power lines. The slope was then armored with approximately 1,000 CY of Rip Rap to help prevent further erosion. 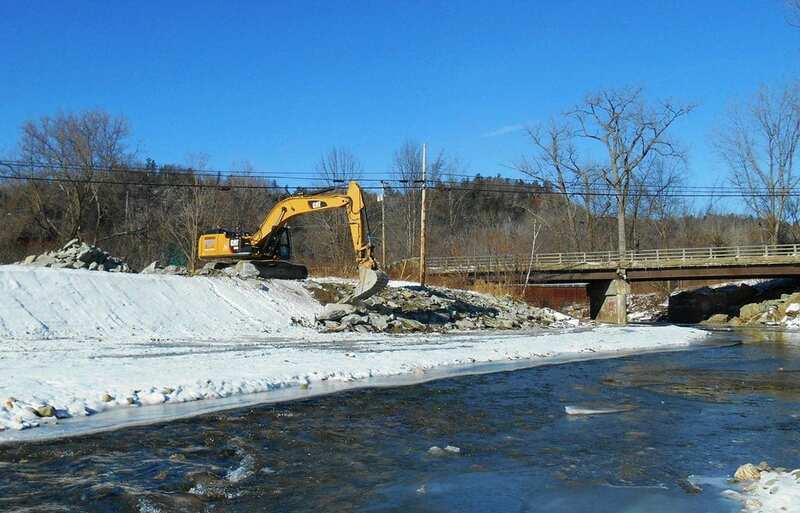 The removal of the sediments from the river will now allow a more unrestricted flow under the Route 15 Bridge during high water events. 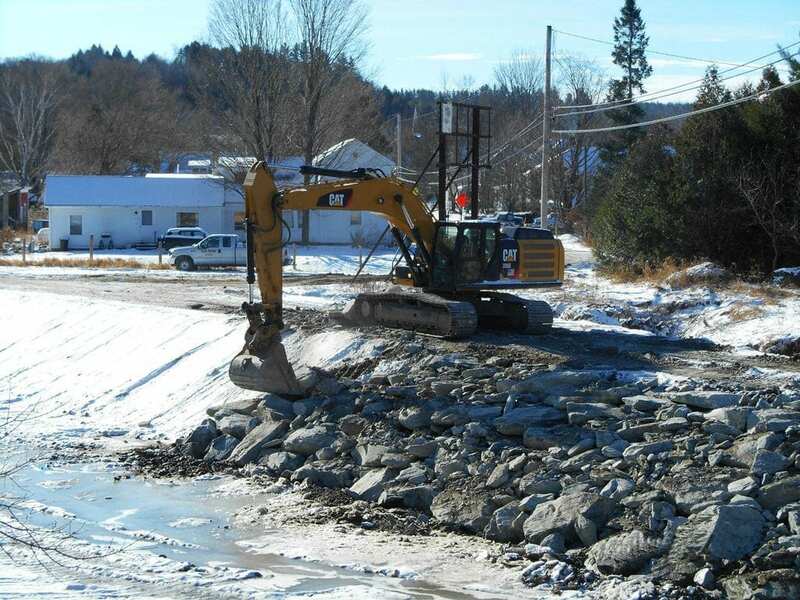 The reduction of sediment will also help keep our rivers and lakes cleaner by preventing this material from washing downstream and settling in Lake Champlain.